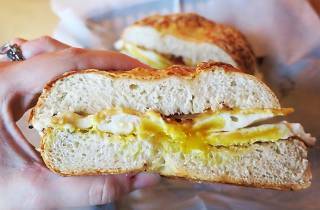 Not only is this place Brickell’s best bagel spot, but it's also home to the best bagel sandwiches in all of Miami. 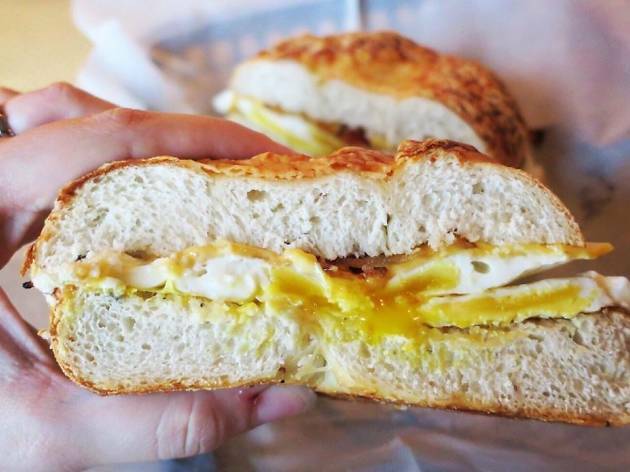 The Little Havana Bagel (they're all named after different Miami neighborhoods) is the go-to for meat eaters. It's topped with eggs, steak, onions and American cheese. For vegetarians, the Collins breakfast wrap is a must, stuffed with scrambled eggs, feta, and spinach. Just make sure you get there early on the weekends. Lines for this place are intense.